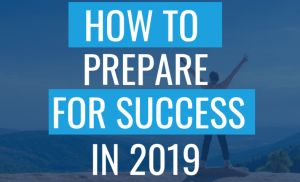 Preparing for 2019 - I'm your PA : The virtual assistant company that likes to make you smile. So Christmas is nearly upon us, our busiest time of the year is almost over, we have booked thousands of chimney sweeps, gas fire services and boiler services, so what next? Many of our clients are starting to look at some of the admin work and appointment booking that they can hand over to give them time back in 2019. What can you delegate, and to who, in your business? Proactive appointment making is one of our key areas of work, using a clients database and their diary, we call their customers to get the annual services booked in. Quotations and their follow up is another key area for the I’m Your P.A. team, often we will prepare the quotation on behalf of the client, send it off, but that is just the beginning. We all know the fortune is in the follow up, and what better way of following up than with a friendly and professional voice. Marketing tasks is a fairly new offering for us. We have had a number of very successful campaigns for various clients this year, these have started with us creating bespoke databases by contacting potential prospects and getting permission to send out an informative letter, we do not construct marketing letters, however we can recommend experts in this field. The letters are printed, all hand signed and sent out in colourful, hand written envelopes. A couple of days later each letter is followed up with a phone call with the aim of getting an appointment for our client. We have a number of ongoing campaigns where around ten letters are sent out each week, this ensures that our clients never get overloaded with extra appointments. Debt chasing is another important role that we carry out, let’s face it all our hard work as business owners is a little pointless if we don’t get paid!